One of Yoink v3.3‘s new features is the detection of favicons for webloc files dragged into the app, making it easier to quickly identify individual weblocs at a glance. (A webloc file is something Finder creates when you drag a URL/link to it). The advantage is obvious right away, that’s why I jumped on it the second the feature was suggested to me. Yoink is not an app that should require an internet connection at all. It’s a “local” Mac app, it helps you with drag and drop, why need an internet connection? As a side note, the connection itself actually doesn’t happen in the main Yoink app, it’s an XPC service that has the sandbox privilege, so the main app isn’t affected. A Mac usually connects to the internet over WiFi or an Ethernet connection, and the data transferred for favicons *is* very small. But there’s still a chance you’re using weblocs like crazy on a Mac connected to the internet via your iPhone’s Personal Hotspot on a data plan, which also makes it obvious why the user needs to be able to turn this option on and off. It just made me more comfortable to have users opt-in to this option, instead of opt-out. There’ no need to parse the HTML yourself for the URL to the favicon, Google does it all for you. 3b) So Why Not Google? With Google having a bad rep for some users, would they use this feature? So even though it worked very nicely, I decided to implement it myself. With Google out of the picture, I had to roll my own detection and parsing. What I do is actually very, very simple. I load the webloc’s URL’s HTML content, and then look through the header part. 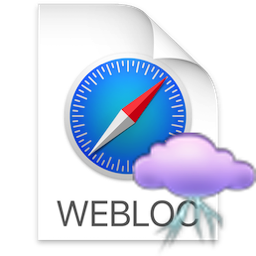 If I have no luck there, either, I bail and return macOS’ default webloc icon. If I am lucky and I find a “rel” I’m interested in, I figure out what the href contains (an absolute link to the image, a relative path to the image, or just the name of the image file itself). Once I know that, I can load the image file and composite it into the final icon. The final icon is cached so Yoink won’t have to connect to the internet and re-download favicons for weblocs that point to the same base URL. I went through three iterations, each at its own, unique laziness level. No wonder I didn’t use it. It’s so lazy. Second, it doesn’t even remotely resemble a webloc file anymore. It actually looks more like an image file’s QuickLook preview icon, and that’s a bad thing, as it could very possibly confuse users. That’s better. But not good, either. Favicons can be transparent, like the one here, but they can also be opaque, blocking the WEBLOC text in the icon and making the overall icon look more blocky and less nice. If the favicon is transparent, I draw it on top of a white background (so it would fit with the rest of the original webloc icon), if it’s not transparent, the favicon’s background is used, solving everybody’s problems. And you can still see that it’s a webloc file, at first glance! Getting the apps in there turned out to be the easy part. 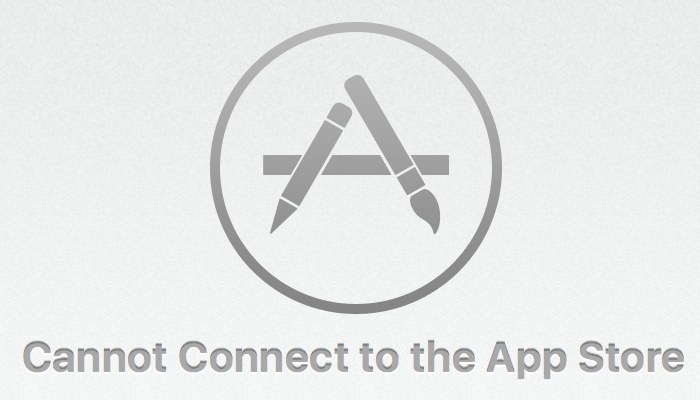 What took some effort was the “App Store…” menu item, as I wanted to precisely replicate its functionality. Right-click a file in Finder, select Open With -> App Store…, and it will launch the Mac App Store with a UTI search, for example: uti:public.zip-archive. This will give you a list of all apps available in the Mac App Store that can handle that file type. Neat! That’s very practical, but not what I was looking for. I was in need of a way to start a search the way Finder does. 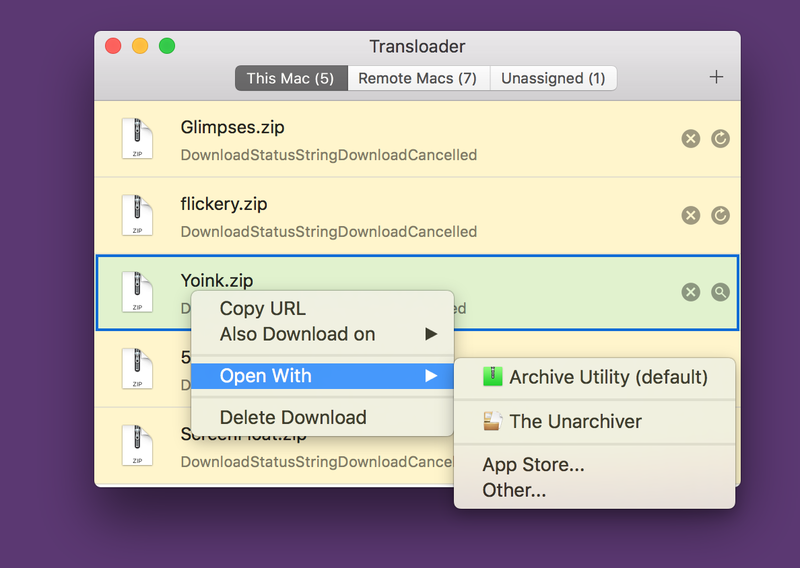 In order to find out the URL Finder uses, I wrote a quick throwaway-app that would overtake the Mac App Store’s URL schemes (using LSSetDefaultHandlerForURLScheme) and print out the URL that was opened. Alas – no dice. Apparently, Finder uses Apple Events or some other magic that “can not be used in a third-party sandboxed app anyway”™ to do its bidding. Another dead end. Or was it? I guess I should have experimented with that URL a little, because Jan Vitturi (@jan4843 on twitter) had the answer: just remove “ax.” from the URL, and it works (on both pre-10.9 and post-10.9 systems)! I was able to get a search going on the Mac App Store, right from within my app. I can’t do a UTI search this way. When I pass (even a percent-escaped) search term along the lines of ‘uti:public.zip-archive’, the Mac App Store tells me there are no results. Reloading that very same page then does show the results – weird and annoying, but nothing I was able to work around. Using extension:zip seemed to work a little better, but still didn’t return all results a reload would. Alternatively, instead of uti=…, you can use extension=… to search by file path extensions. My sincere thanks go to Jan Vitturi!